Picking up the reins from the erstwhile Patrick Clarke, Getintothis’ Mike Stanton continues the weekly forays into the underground world of Unknown Pleasures and brings three more picks you certainly don’t want to miss. Underground, unknown or new music is where I like to hang out. There is nothing better than discovering a gem of a band or artist and then continually banging on about it to all and sundry like some self-entitled hipster at a Pimms-soaked barbecue. Well here I am doing just that, without the Pimms and the barbecue but definitely with some ace tunes from your (potentially) next favourite band. Having been a fan of (and indeed discovered some ace tunes though) Patrick Clarke‘s excellent column over the last couple of years I was made-up to be asked to jump in behind the steering wheel and continue his sterling work. His is a tough act to follow but I hope I can continue to uncover some gems for you all to enjoy. 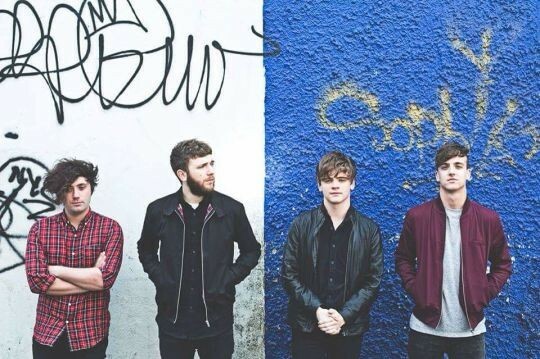 First up is a tidy track from a young Irish quartet called The Academic. Mixtape 2003 is a breezy, melodic pop/rock track that is instantly accessible and has enough charm to stay with you after a couple of listens. This isn’t pretentious math rock or gnarly grunge-coated prog but pure unadulterated joyful indie-pop. Perfect for blasting out on warm summer afternoons. I expect these guys to breakthrough in the very near future. Mixtape 2003 is released on 12th August and will be available to purchase on iTunes and Spotify. Next is Telex Ghosts by electronic hauntologist Concretism. This is a slow warping and coiling beauty that gradually absorbs you throughout its 4 minute run. Redolent of the likes of Boards of Canada and The Advisory Circle there is a degraded and nostalgic feel that creates a dense and viscous atmosphere. Concretism has an unerring ear for melody and production and his music ranges across pastoral tranquility, cosmic spookiness and indeterminate dread. Think BBC Radiophonic Workshop and 1970’s Public Information Films. Finally, Scatter Factory presents his new single Out The Blocks from his forthcoming self-titled debut album. Set for release via Flecktone Recordings, this track delivers us a motorik, ghostly and infectious roller-skate bass groove. The solo project of Will Foster, a multi-instrumentalist, songwriter and arranger and former member of art-pop band Delicatessen, it is an elegant instrumental track that manages to be both vividly imagistic and intriguingly open-ended. Scatter Factory is out 22nd July.